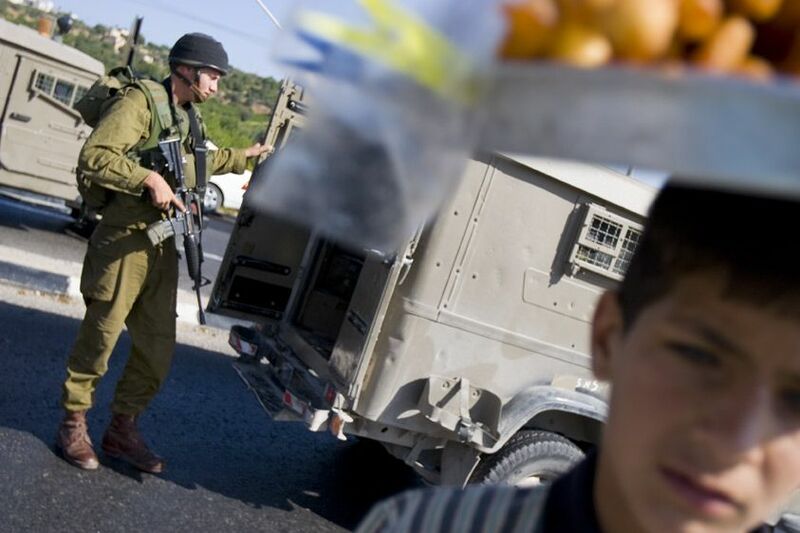 A boy sells organges on the road where an Israeli soldier stops for a bomb scare check. 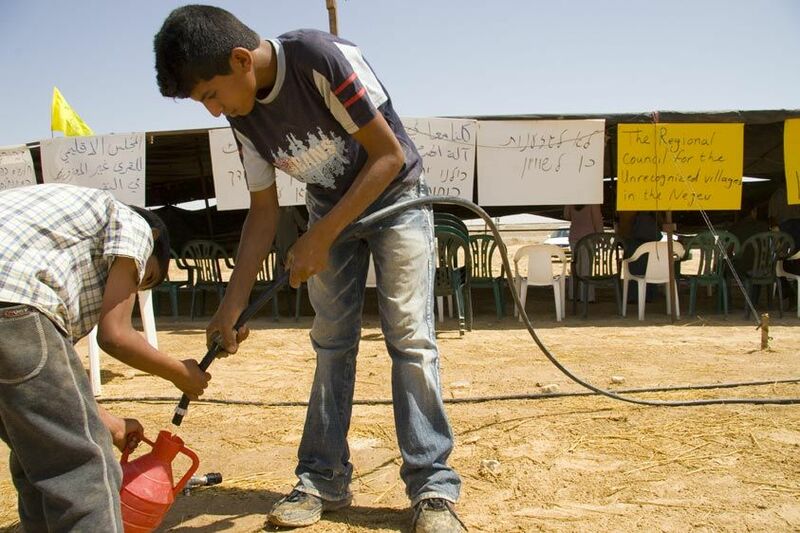 The devastated Palestinian economy forces some children to work rather than to attend school. A boy sells shirts at the Kalandia checkpoint, Ramallah. An Israeli soldier questions two Palestinian boys during curfew in the Old City of Hebron. A Palestinian boy and his father pass by an armed Israeli officer on their way into the Arab Quarter of Jerusalem. 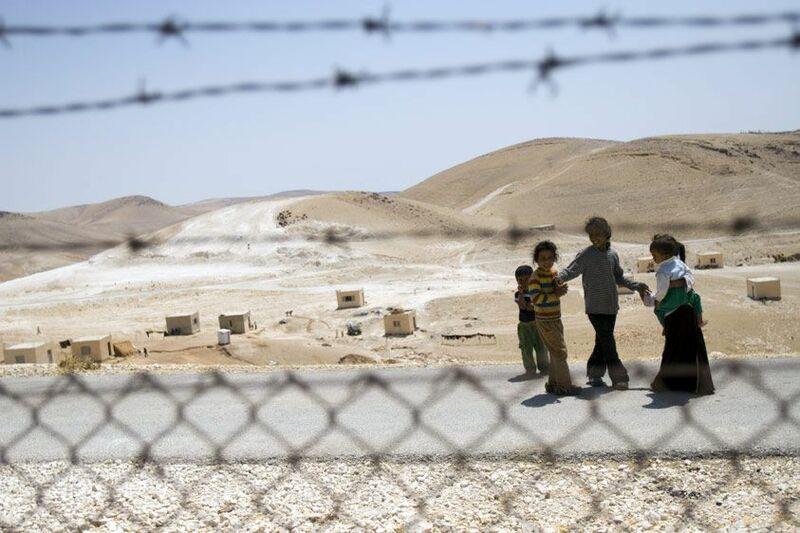 Palestinian boys cross through a checkpoint as they pass from their home, bordering the area occupied by settlers, and the main Palestinian corridor. 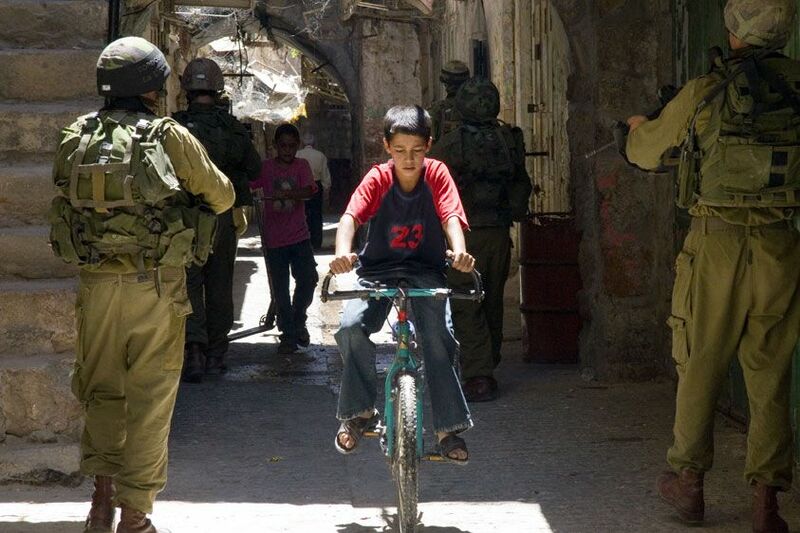 An Israeli soldier and a Palestinian boy during curfew. A child walks through a checkpoint corridor connecting the Palestinian corridor of Hebron's Old City to the Ibrahimi Mosque. 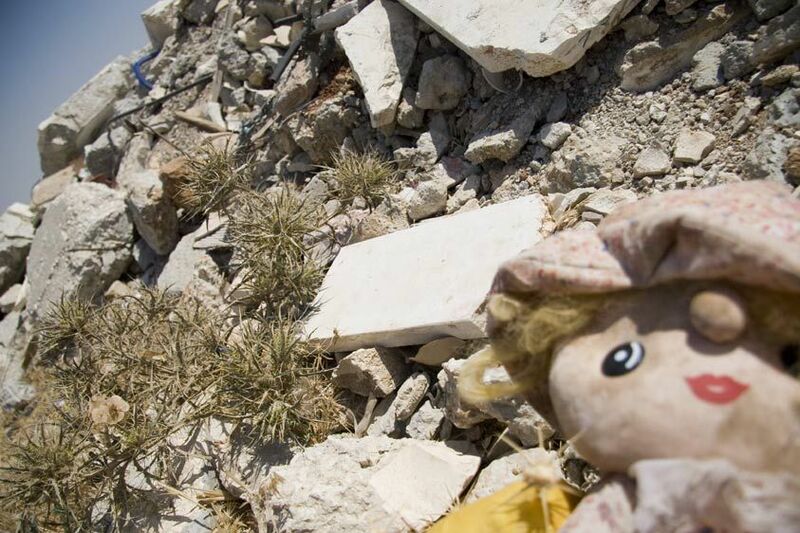 A Palestinian girl jumps through the gateway in the Abu Dis wall. A Palestinian boy and his mother traverse the wall at Abu-Dis to get from one part of Jerusalem to another. A Palestinian boy waits to be let through a checkpoint turnstile. A family shows travel permits to the Israeli military to cross into East Jerusalem. An image by UK artist BANKSY on the wall nearing Ramallah.